Please join us as Jeff is interviewed by Joe Ugly and the morning crew! Tuesday, April 10th, 8 am. Live on WNHH 103.5 FM New Haven and live-streaming at newhavenindependent.org. START YOUR DAY WITH JOE UGLY AND THE MORNING CREW, WEEKDAYS 6AM TO 9AM EST ON UGLY RADIO. 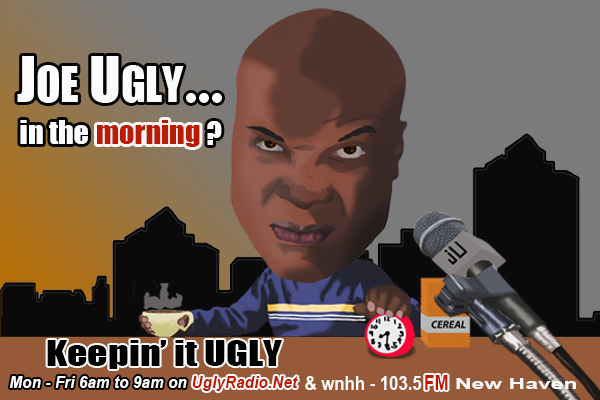 IT’S NON-STOP UGLINESS WITH JOE UGLY AND THE MORNING CREW AS THEY COVER LOCAL, NATIONAL & INTERNATIONAL UGLY HEADLINES AS WELL AS ANYTHING ELSE THEY CAN MAKE UGLY. SO START YOUR DAY WITH SOME UGLINESS FROM JOE UGLY AND THE UGLY PTSD SQUAD STREAMING LIVE WEEKDAYS 6AM TO 9AM EST ON INDEPENDENT RADIO FOR INDEPENDENT LISTENERS. IT’S UGLY RADIO.